Machine learning algorithms make predictions or decisions based on data. These learning algorithms can be embedded within applications to provide automated, artificial intelligence (AI) features or be used in an AI platform to build brand new applications. In both cases, a connection to a data source is necessary for the algorithm to learn and adapt over time. There are many different types of machine learning algorithms that perform a variety of tasks and functions. These algorithms may consist of more specific machine learning algorithms, such as association rule learning, Bayesian networks, clustering, decision tree learning, genetic algorithms, learning classifier systems, and support vector machines, among others. These learned algorithms may be developed with supervised learning or unsupervised learning. Supervised learning consists of training an algorithm to determine a pattern of inference by feeding it consistent data to produce a repeated, general output. Human training is necessary for this type of learning. Unsupervised learning, on the other hand, requires no consistency in the input of machine learning algorithms. Unsupervised algorithms independently reach an output and are a feature of deep learning algorithms. Reinforcement learning is the final form of machine learning, which consists of algorithms that understand how to react based on their situation or environment. For example, autonomous driving cars are an instance of reinforcement machine learning because they react based on their surroundings on the road. If a traffic light is red, the car stops. Machine learning algorithms are used by developers when using an AI platform to build an application or to embed AI within an existing application. End users of intelligent applications may not be aware that an everyday software tool is utilizing a machine learning algorithm to provide some form of automation. Additionally, machine learning solutions for businesses may come in a machine learning as a service model. 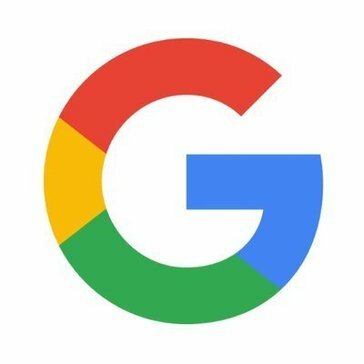 Machine Learning reviews by real, verified users. Find unbiased ratings on user satisfaction, features, and price based on the most reviews available anywhere. GoLearn is a 'batteries included' machine learning library for Go that implements the scikit-learn interface of Fit/Predict, to easily swap out estimators for trial and error it includes helper functions for data, like cross validation, and train and test splitting. 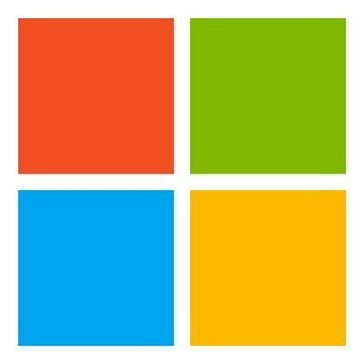 Microsoft Cognitive Toolkit is an open-source, commercial-grade toolkit that empowers user to harness the intelligence within massive datasets through deep learning by providing uncompromised scaling, speed and accuracy with commercial-grade quality and compatibility with the programming languages and algorithms already use. Our platform leverages human-in-the-loop practices to train, test, and tune machine learning models. At Figure Eight, we know that AI isn’t magic. We know what it takes to create AI that isn’t just a science project, but AI that works in the real world. And we provide the crucial ingredients that make it happen. We believe that AI is the combination of three important components: training data, machine learning, and humans-in-the-loop. python-recsys is a python library for implementing a recommender system. Amazon SageMaker Ground Truth helps you build highly accurate training datasets for machine learning quickly. SageMaker Ground Truth offers easy access to public and private human labelers and provides them with built-in workflows and interfaces for common labeling tasks. Microsoft Academic Knowledge API is a service that allow user to interpret queries for academic intent and retrieve rich information from the Microsoft Academic Graph (MAG), it is a knowledge base web-scale heterogeneous entity graph comprised of entities that model scholarly activities: field of study, author, institution, paper, venue, and event. Weka is a machine learning algorithms for data mining tasks that can either be applied directly to a dataset or called from own Java code, it contains tools for data pre-processing, classification, regression, clustering, association rules, and visualization and well-suited for developing new machine learning schemes. The ML-Agents SDK allows researchers and developers to transform games and simulations created using the Unity Editor into environments where intelligent agents can be trained using Deep Reinforcement Learning, Evolutionary Strategies, or other machine learning methods through a simple to use Python API. XGBoost is an optimized distributed gradient boosting library that is efficient, flexible and portable, it implements machine learning algorithms under the Gradient Boosting framework and provides a parallel tree boosting(also known as GBDT, GBM) that solve many data science problems in a fast and accurate way. Crab as known as scikits.recommender is a Python framework for building recommender engines that integrate with the world of scientific Python packages (numpy, scipy, matplotlib), provide a rich set of components from which user can construct a customized recommender system from a set of algorithms and be usable in various contexts: ** science and engineering ** . FloydHub is a platform specially designed for deep learning and eliminating the engineering bottlenecks. Pylearn2 is a library for machine learning research. pyBrain is a modular machine learning library fr python that offer a flexible, easy-to-se and powerful algorithms for machine learning task and a variety of predefined environments to test and compare algorithms. mlr: Machine Learning in R that interface to a large number of classification and regression techniques, including machine-readable parameter descriptions. MLlib is Spark's machine learning (ML) library that make practical machine learning scalable and easy it provides ML Algorithms: common learning algorithms such as classification, regression, clustering, and collaborative filtering, feature extraction, transformation, dimensionality reduction, and selection, tools for constructing, evaluating, and tuning ML Pipelines, saving and load algorithms, models, and Pipelines and linear algebra, statistics, data handling, etc. Pattern Recognition and Machine Learning is a Matlab implementation of the algorithms. clj-ml is a machine learning library for Clojure that can be applied to data sets to modify the dataset in some way: transforming nominal attributes into binary attributes, removing attributes etc. Microsoft Knowledge Exploration Service is a service that offers a fast and effective way to add interactive search and refinement to applications, it allows user to build a compressed index from structured data, author a grammar that interprets natural language queries, and provide interactive query formulation with auto-completion suggestions. Annoy (Approximate Nearest Neighbors Oh Yeah) is a C++ library with Python bindings to search for points in space that are close to a given query point and it creates large read-only file-based data structures that are mmapped into memory so that many processes may share the same data. The Xilinx ML Suite enables developers to optimize and deploy accelerated ML inference. It provides support for many common machine learning frameworks such as Caffe, MxNet and Tensorflow as well as Python and RESTful APIs. BioPy is a collection of biologically-inspired algorithms written in Python that are more focused on artificial model's of biological computation, such as Hopfield Neural Networks, while others are inherently more biologically-focused, such as the basic genetic programming module included in this project. CloudForest allows for a number of related algorithms for classification, regression, feature selection and structure analysis on heterogeneous numerical / categorical data with missing values. DataRobot is the premier platform for automated machine learning. With a library of hundreds of the most powerful open source machine learning algorithms, DataRobot automates feature engineering, model creation, and hyperparameter tuning to expedite the deployment of advanced AI applications. The platform encapsulates every best practice and safeguard to help organizations accelerate and scale their data science capabilities while maximizing transparency, accuracy and collaboration between trained data scientists and empowered citizen data scientists. Learning Based Java is a modeling language for the rapid development of software systems with one or more learned functions, designed for use with the JavaTM programming language that offers a convenient, declarative syntax for classifier and constraint definition directly in terms of the objects in the programmer's application. 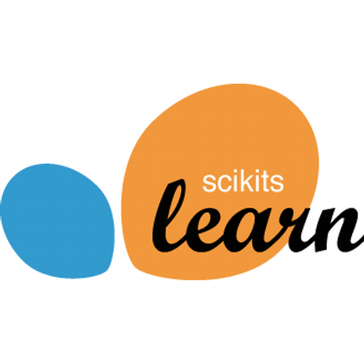 Nilearn is a Python module for fast and easy statistical learning on NeuroImaging data that leverages the scikit-learn Python toolbox for multivariate statistics with applications such as predictive modelling, classification, decoding, or connectivity analysis. Why Use Machine Learning Software? Who Uses Machine Learning Software? Machine learning software automates tasks for users by leveraging an algorithm to produce an output. These solutions are typically embedded into various platforms and have uses across a wide variety of industries. Machine learning solutions improve the speed and accuracy of desired outputs by constantly refining them as the application digests more of the training data. Machine learning software improves processes and introduces efficiency to multiple industries, ranging from financial services to agriculture. Machine learning applications include process automation, customer service, security risk identification, and contextual collaboration. Notably, end users of machine learning-powered applications do not interact with the algorithm directly. Rather, machine learning powers the backend of the artificial intelligence that users interact with. Prime examples of this include chatbots and automated insurance claims processing systems. Machine learning software is useful in many different contexts and industries. For example, artificial intelligence-powered applications typically use machine learning algorithms on the backend to provide end users with answers to queries. Build AI Applications — Machine learning software drives the development of AI applications that streamline processes, identify risks, and improve effectiveness. Improve Efficiency — Machine learning-powered applications are constantly improving because of the recognition of their value and need to stay competitive in industries in which they are used, and they give businesses more efficiency when it comes to repeatable tasks. A prime example is in eDiscovery, where machine learning has created massive leaps in the efficiency with which legal documents are looked through and relevant ones identified. Reduce Risk — Risk reduction is one of the largest use cases in financial services for machine learning applications. Machine learning-powered AI applications can identify potential risks and automatically flag them based on historical data of past risky behaviors. This eliminates the need for manual identification of risks, which is prone to human error. Machine learning-driven risk reduction is useful in the insurance, finance, and regulation industries, among others. Machine learning has applications across nearly every industry. Some of the industries that leverage and benefit from machine learning applications include financial services, cybersecurity, recruiting, customer service, energy, and regulation industries. Marketing Departments — Machine learning-powered marketing applications can help marketers identify content trends, shape content strategy, and personalize marketing content. Marketing-specific algorithms can segment customer bases, predict customer behavior based on past behavior and customer demographics, identify high potential prospects, and more. Financial Services — Financial services institutions are increasing their use of machine learning-powered applications to stay competitive with others in the industry who are doing the same. Through robotic process automation (RPA) applications, which are typically powered by machine learning algorithms, financial services companies are improving the efficiency and effectiveness of departments, including fraud detection, anti-money laundering, and more. The departments in which these applications are most effective are ones in which there is a great deal of data to deal with and a lot of repeatable tasks that require little creative thinking. Examples may include trawling through thousands of claims and identifying ones that have a high potential to be fraudulent. The process is similar, and the machine learning algorithm can digest the data to get to the desired outcome much quicker. Cybersecurity — Machine learning algorithms are being deployed in security applications to better identify threats and automatically deal with them. The adaptive nature of certain security-specific algorithms allows the applications to deal with evolving threats more easily. There are three main types of machine learning: supervised, unsupervised, and reinforcement. These refer to the type of algorithm on which the application is built. The type of machine learning doesn’t generally affect the end product that customers will use. For example, whether a virtual assistant is built using supervised learning or unsupervised learning matters little to the companies that employ it to deal with customers. Companies care more about the potential impact that deploying a well-made virtual assistant will bring to their business model. Supervised Learning — This model of machine learning refers to the idea of training the machine or model with a specific data set until it can perform the desired tasks, like identifying an image of a certain type. The teacher has complete control over what the model or machine learns because they are the ones inputting the information. The complete control of the teacher over the model means that the teacher can steer the model exactly in the direction of the desired outcome. Unsupervised Learning — Unsupervised learning refers to the algorithm or model that is dispatched with the mission to search through data sets to find structures or patterns on its own. However, unsupervised learning is unable to label those discovered patterns or structures. The most unsupervised learning-based algorithms can do is distinguish patterns and structures according to perceived differences. Reinforcement Learning — With this type of machine learning, the model learns by interacting with its environment and giving answers based on what it encounters. The model is given points for supplying correct answers and loses points for incorrect answers. Through this incentivizing method, the model trains itself. The idea is that the reinforcement learning model will learn through its interactions and, ultimately, improve. Algorithm — The most important feature of any machine learning offering is the algorithm. The algorithm is the foundation off of which everything else is based. Solutions either provide prebuilt algorithms or allow developers to build their own in the application. Data Connection — Connection to third-party data sources is key to ensuring the success of a machine learning application. To function and learn properly, the algorithm must be fed large amounts of data. Once the algorithm has digested this data and learned the proper answers to typically asked queries, it can provide users with an increasingly accurate answer set. Sample Datasets — Often, machine learning applications offer developers sample datasets with which to build their application and train their algorithms. These pre-built datasets are the key to developing well-trained applications, because the algorithm needs to see a ton of data before it’s ready to make correct decisions and give correct answers. Natural Language Processing (NLP) — Certain machine learning applications are designed to digest human speech and turn it into text. Computer Vision — This feature allows the algorithm to view content on a computer screen and process it. Data Enrichment — This feature annotates, categorizes, and enriches data sets for your generated algorithm. Machine learning is a massive topic these days, thanks to its relationship to artificial intelligence. Machine learning applications power artificial intelligence applications, so they’ve rocketed in popularity along with AI. Robotic Process Automation (RPA) — RPA is driving an increased interest in the machine learning space, because machine learning enables RPA. RPA is gaining in popularity across multiple verticals, being particularly useful in industries heavy on data entry like financial services because of its ability to process data and increase efficiency. Increased Automation — Businesses across industries are turning to automation to help improve efficiency and increase production. Machine learning is powering that automation, delivering solutions that give businesses the capability to automate things like predictive analytics and insurance claims processing. Automation Pushback — One of the biggest potential issues with machine learning-powered applications lies in the removal of humans from processes. This is particularly problematic when looking at emerging technologies like self-driving cars. Should machines have the ability to decide life or death for people on the road? By completely removing humans from the product development lifecycle, we are giving machines that power. This question is debated constantly and will continue to be contested as we arrive closer to the reality of an almost entirely automated future. Machine learning software is closely related to artificial intelligence platforms, as machine learning algorithms power the majority of AI platforms. Machine learning is increasingly woven into multiple financial services software, marketing software, and legal software categories too. Financial Services Software — Fintech solutions are becoming more and more infused with artificial intelligence. From regulatory technology (regtech) to insurance technology (insurtech) and financial services-specific RPA, machine learning-powered automation is clearly driving innovation within the financial services sector. Legal Software — Legal software, particularly the eDiscovery subcategory, is being shaped by machine learning solutions. Machine learning is cutting down significantly on the time it takes for legal professionals to identify relevant documents and flag them as such. Marketing Software — Marketing solutions, like predictive analytics solutions, are using machine learning to automate processes and deliver better performance. Hi there! Can I help you find the best Machine Learning solutions?